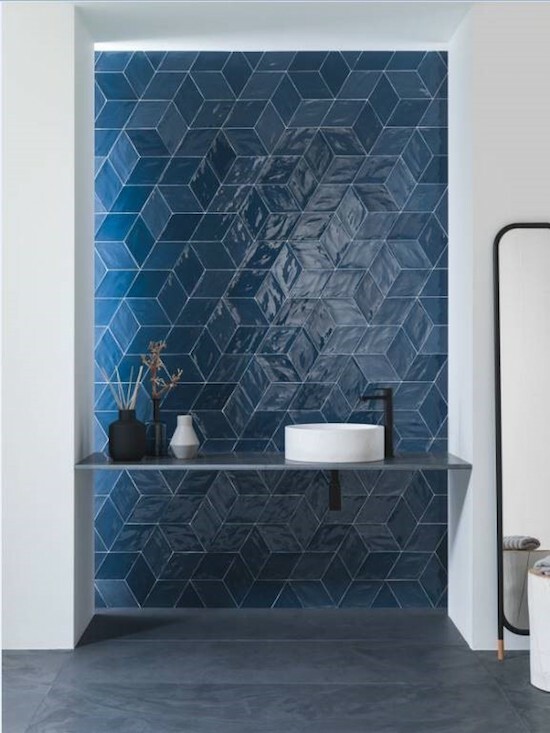 The idea that square tiles are the only option for floors and walls has become a thing of the past. 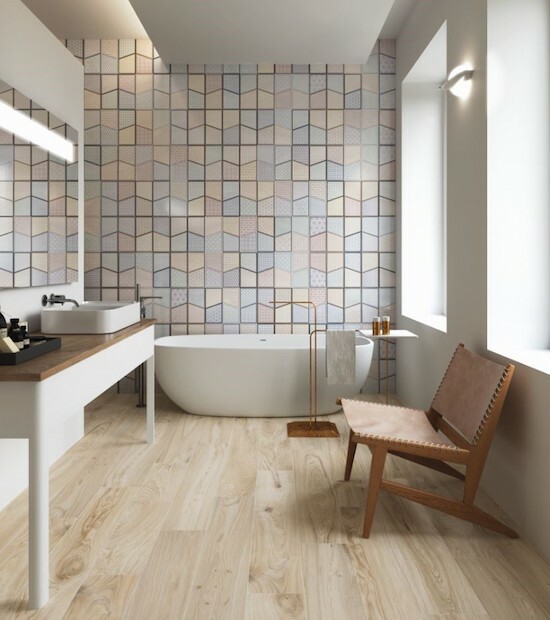 Tile of Spain manufacturers offer collections in planks, geometric, high-relief and many other formats that allow for design ideas to be carried out in an entirely new way. 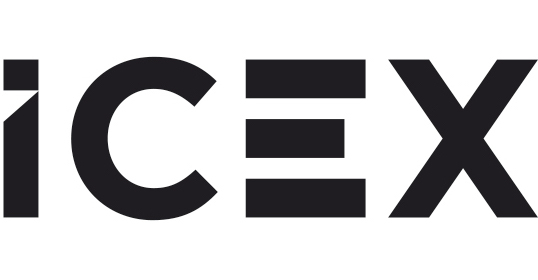 Below is a glimpse of ways that experimenting with formats can transform your design. Special formats are able to completely bring life to the room, turning floors and walls into a creative canvas. 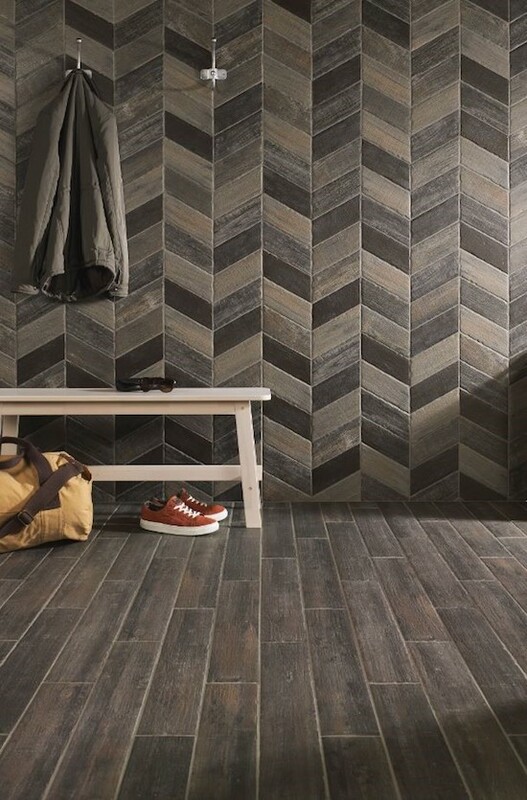 These non-traditional wall and flooring options give personality to any room in the house. 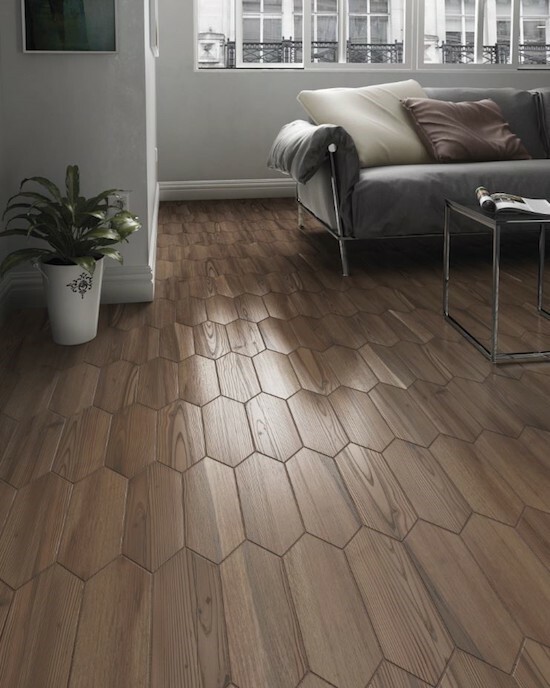 Hexagons, triangles, rhomboids or the classic rectangles combined together will reinforce the prominence of the floors and walls. These shapes have become the ideal option to decorate empty walls in rooms with little furniture. The different formats allow you to explore creativity and look for the style that best fits the environment that you want to achieve. The joints where tile meets wall are no longer hidden, but are reinforced to accentuate the shape of the tiles. Options are infinite: combine colors, create new shapes or even overlap formats. The goal is to complete the canvas of your home to create a unique environment. 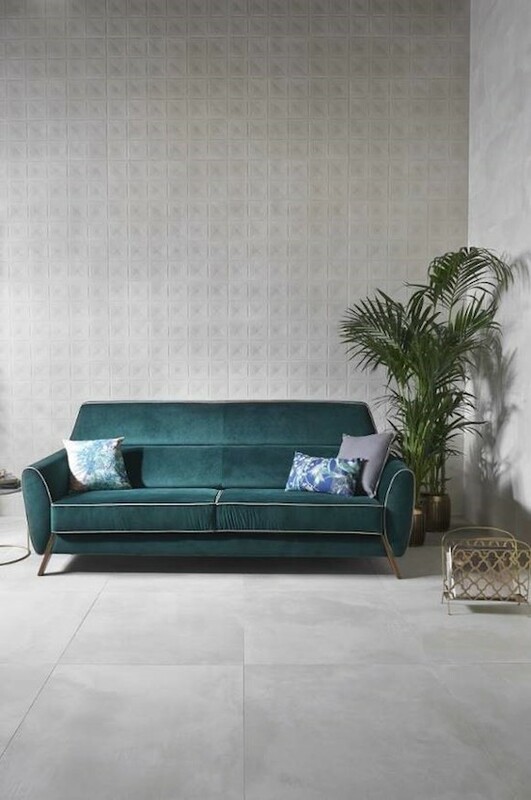 In the search to create elegant but unique spaces, a great option is to try formats different from the classic rectangular shapes. Nature-inspired forms result in harmonic environments and that invoke a calm feeling. 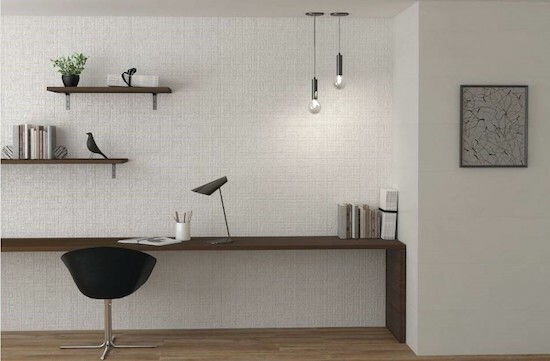 The tiles in different geometrical formats simulate the characteristic of nature: barks, stems, hives. All giving a elegant and harmonic look to the space. The combination of the formats also allows us to delimit the spaces, which are defined by the route of the joints. Thus, larger or smaller tiles, arranged in one direction or another, helps to visually structure a room. 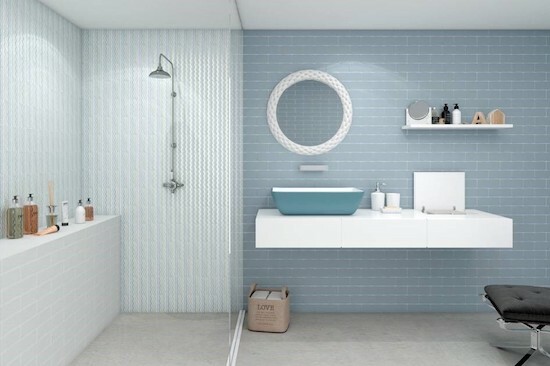 The layout achieved by using different formats or sizes can be reinforced by combining tiles of different colors and textures. Experimentation with different formats allows us to take multiple approaches and combine them to create unique options. 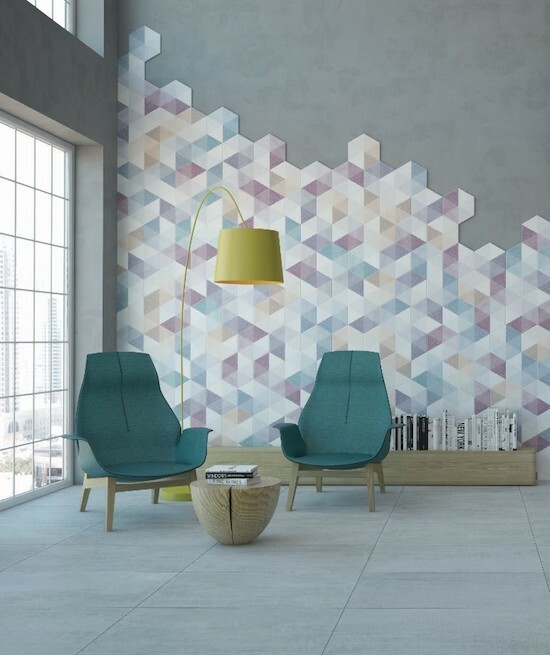 A wall with rectangular tiles, another with triangular pieces and a floor of hexagons. Daring to break with symmetry lends personality to the rooms and allows for more creative environments. 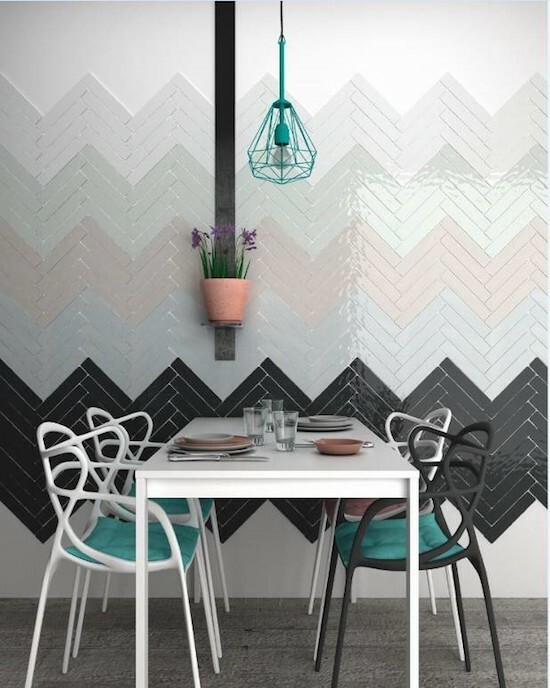 This idea can also be used in a more subtle way, experimenting with different tiles in the same tone, or intertwining large and small format tiles in the same shade, provides visual continuity to the space. Follow Tile of Spain on Facebook, Instagram and Twitter. This entry was posted in Blog and tagged Bestile, Cevica, Equipe, Formats, Gayafores, Keraben, L’Antic Colonial, natucer, peronda, tile of spain, undefasa, Wow by admin. Bookmark the permalink.